An electric fencing energiser is at the heart of any electric fencing system and provides the power at the right level to suit the size and specifications of the fence. There are two main types of energiser: Mains electricity and battery powered, the latter of these can also be used with solar panels to maintain battery charge from the suns energy. The energiser converts AC or DC voltage (depending on the power source) into repetitive high voltage pulses of DC voltage that are sent down the electric fencing conductor wire. Although the voltage sent to the fence can be very high, the current is very low and only lasts for the length of a pulse with a 1 second interval to the next pulse. This makes the shock that is delivered safe to both animals and humans. 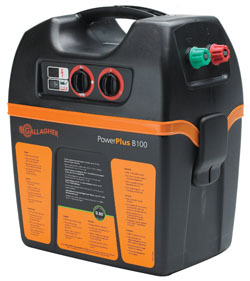 At wildlifefencing.co.uk, we offer the full range of Gallagher energisers and associated accessories suited to all your animal management electric fencing requirements. The i-series energisers offers a top of the range energiser system with feedback functionality to keep you informed of the performance of your fence. 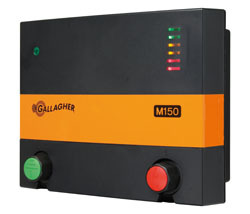 All Gallagher energisers are durable and feature built-in lightening protection and a 2-year guarantee. Mains energisers are designed for use with more permanent electric fence installations and plug directly into a 240v mains power source. Many different levels of mains energiser are available depending on your fence requirements and the features that you require. The i-series energisers of energisers offers a high level of functionality and performance and can be upgraded with accessories to help you monitor and control the performance of your fence. 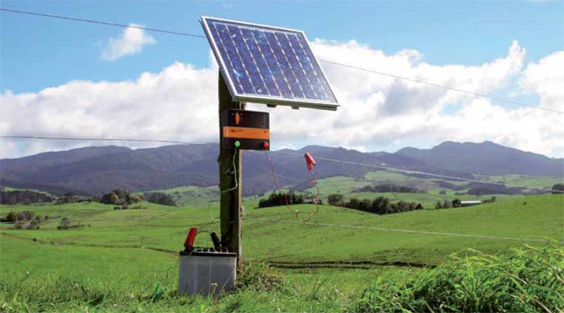 A battery energizer provides effective animal control for remote locations where there is no mains power supply. Reliability is an absolute requirement. Battery energisers are available in 9V or 12V depending on the size and type of fence installation and some of these battery energizers can be combined with a solar panel in order to save even more energy. The following table is designed to help you choose the correct energiser for your needs. Aside from functionality, there are many factors which can affect the choice of energiser. You will need to select an energiser that delivers the correct power to the fence depending on animal type, length of installation and the number of lines and the construction of the lines. Using our calculator, multiply the values together corresponding to the componants you wish to use. The answer gives the number of Joules of stored energy. An energiser can then be chosen that provides, at least this number of Joules.